Where is your next outdoor adventure going to take you? Stay warm and dry in any weather condition with Slumberjack’s Roughhouse series tents! Go to new heights this year with the sleek design of roughhouse tents! 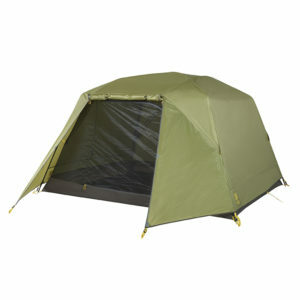 With tent options of 4 and 6 persons you will not be disappointed with the amount of space there is inside the tent. The tent features two steel and fiberglass poles that serve as the main beams of the tent. It also features two ridge poles that run over the top to help with stabilization in high winds and other inclement weather. The tent offers many pockets throughout the inside of the tent, perfect for storing any of your miscellaneous items that you may have. Roughhouse also has the ability to turn your walking sticks into a seperate “front porch” space! This allows you to stay in the shade during sunny and hot days. 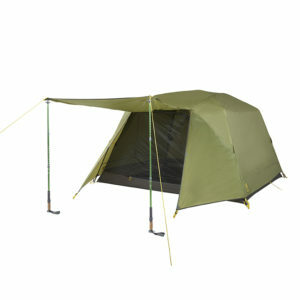 You won’t be disappointed with the mesh netting that surrounds and encapsulates the tent. The No-See-Um Mesh creates a way for you to experience everything the outdoors has to offer, with the luxury of keeping the mosquitoes and other bugs out! With the slim and stout design Roughhouse has to offer, there is ample amount of headroom and living space inside these tents. 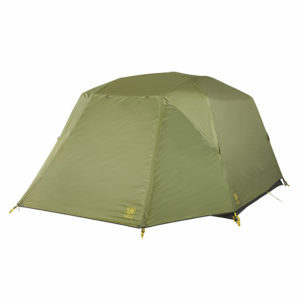 Enjoy a durable and reliable tent that will excel in any environment you put it in.